How many teslas would it take to clean london’s air? The Model X in the air safety test has an internal capacity of 77 cubic feet, and cleaned the air in 3 minutes. How many tesla car filters would it take to clean the air of the London congestion charge zone, to the height of the Shard? 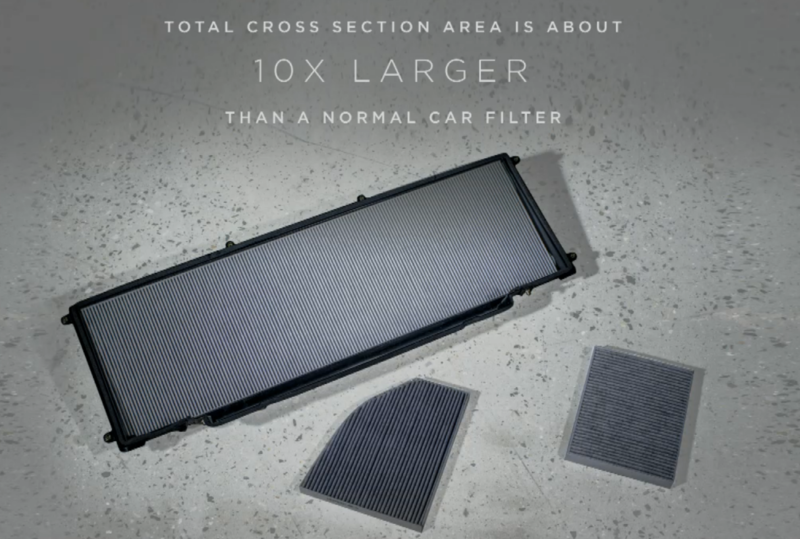 The answer comes out to be 880,000, which is 2 car sized filters for each person who works in the city of London (an area about an eighth the size of the congestion charge zone). If we only care about air to the height of 10 storey buildings, it’s 86k filters, or one per 5 people who work in the square mile). The spreadsheet is here if you want to make a copy and run the numbers for elsewhere. It wont do everything (or anything that filter doesn’t do, other filters are available), but as a mass produced item, solar powered, that seems achievable, especially for areas with high particulate problems, and running full time may create other issues. They’re also probably the wrong shape for London buses (8000 in total, 1000 routemasters; 22000 black cabs). The numbers are more feasible than I expected, when the question came to me at 1am.